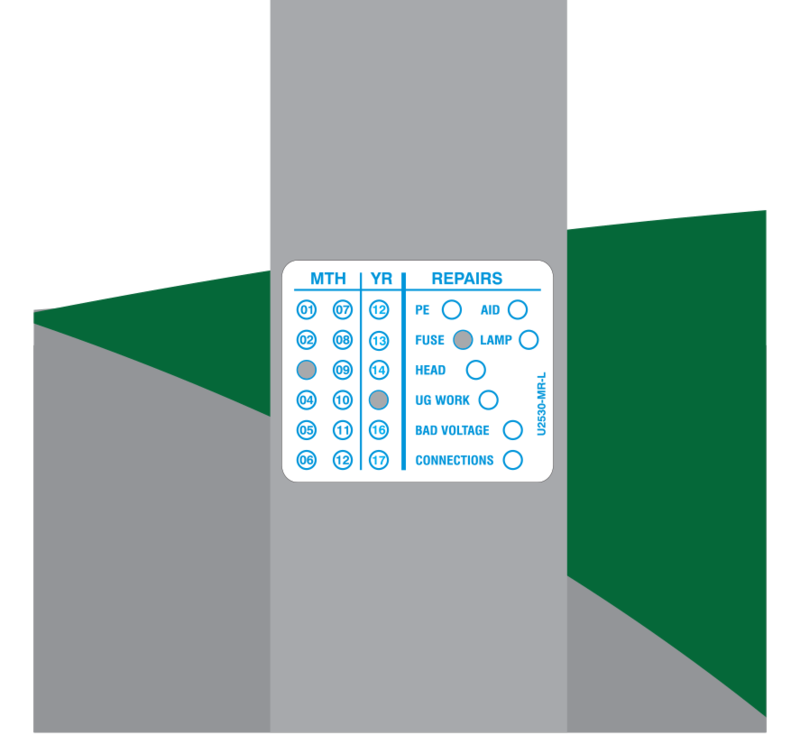 Uticom’s Reflective Lighting Maintenance Labels are a durable and reliable way to record repairs and maintenance events on a Utility’s lighting pole. 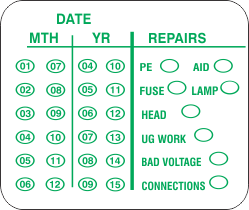 The labels are die-cut for ease of use when removing the appropriate “Month,” “Year” and “Repair” indicators. Each Reflective label is silk screened using a high concentration of solvent based ink and acrylic adhesive for maximum durability in ultraviolet environments. Click on the “Request a Real-Time Design Session” link at the top of this page to custom design a Uticom Lighting Maintenance label.